Upon completion of their guided reading novels, the Grade 8s were asked to create Book Trailers. Through active discussion, the students were able to brainstorm the prime use of such trailers: to promote, persuade and ultimately sell books. They also spoke of the importance of being able to grab their intended audience and persuade them to seek out the advertised novel and read it. We are learning to create, through the use of media, an advertisement in the form of a Book Trailer to persuade a given audience to read our novel. Students were introduced to iMovie on the iPads as a means of creating a Book Trailer. 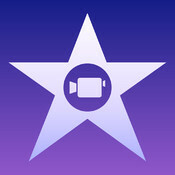 They were given time to “tinker” and learn the ins and outs, and unique features of iMovie. They were also asked to select the most appropriate theme for their own novel (iMovie includes many pre-loaded themes that are a great way to produce first productions). Similarly, Mme Madeley reminded the class that images and/or photos needed to be carefully selected and “legal”. Together, they visited the CreativeCommons website and worked their way through the search fields. Students were impressed, and gained a much better understanding of the role of such organizations. In this case, Creative Commons develops, supports, and stewards legal and technical infrastructure. Needless to say, the students found the planning to be quite the challenge! The planning phase behind them, the Grade 8s ventured once again to the library and began creating their trailers… Although the students took advantage of the pre-loaded themes, many ventured out of the box, incorporating Mazo’s awesome Green Screen and iMac pods in the hopes of creating something even more memorable! In some cases, it was as simple as changing the music/accompaniment or adding powerful sound effects. Nevertheless, in other situations, the Grade 8s added action, adventure and personal content. If you look and listen carefully, you just may catch them in action.